The Epson LS10000 is the company's newest high performance flagship home theater projector, and compared to what Epson has produced in the past it is in a whole new league. (4) 3-way Automated Lens Memory for Constant Image Height installation. These four features in combination make for a highly competitive new product in the premium home theater projector market. The price has not been finally determined as of this writing, but Epson says it will be under $8,000. The LS10000 is a revolutionary product, unlike anything that Epson has produced to date. It combines extreme contrast and extreme resolution to produce a picture capable of extraordinary realism and presence. Though it uses 1920x1080 resolution chips, it has the ability to enhance standard 1080p sources to make them look as if they were filmed or captured in 4K resolution. Once the unit was set up, the first disc I wanted to see was the Eagles Farewell I Tour. Projected onto an eight foot wide Stewart Studiotek 130 with the 4K enhancement active, this picture virtually exploded off the screen with detail and a sense of immediate presence that I'd never seen from this disc before. If you want to compare it to standard 1080p, you can simply turn off the 4K enhancement. What you end up with is a picture that looks remarkably soft--almost more like really good standard definition. In actuality, the standard 1080p picture is just as sharp as it always has been. It is just that by comparison to the 4K enhanced version it is surprisingly soft. The LS10000 has five levels of 4K enhancement, labeled 4K-1 through 4K-5, with 5 being the most aggressive processing. There is no correct or optimal setting. The level of enhancement you select will depend in equal parts on the type of content being viewed, the viewing distance, and your personal taste. When viewing the Eagles concert from a distance of 16 feet (2x the screen width), I set the enhancement to 4K-5 with excellent results. The picture was pristine, clear, and perfectly natural with no hint of any type of processing artifacts. Moving much closer to a viewing distance of 10 feet caused the picture to look slightly oversharpened. At this viewing distance I backed it off to 4K-3, and once again the picture was perfectly satisfying. When viewing video of a live concert, maximum realism is desired. When viewing a movie it isn't. I found 4K-2 to be a preferred setting for movie material--it gives the image an obviously enhanced clarity and detail but without imparting any digital video effect. And the same thing happens when watching movies as with live video--once you get used to watching with 4K enhancement activated, you can't go back; standard 1080p looks by comparison to be low resolution; it just doesn't cut it anymore. The other major advance in the LS10000 picture is the contrast. Epson does not bother to quote a numeric contrast spec on this projector; rather they just call it Absolute Black (Our database does not accept alpha characters for contrast specs, so it will be designated as ">1,000,000:1" on this site). The black levels are indeed very solid, as good as it gets on a projector, but black levels are already quite good on most premium home theater projectors. Where the LS10000 truly shines is in its extraordinary shadow detail. In the Blu-ray of the Eagles concert, the camera periodically pans to the audience to show viewer reactions, and of course the audience is in the dark. On most projectors audience pans like this look muddy and ill-defined. But the LS10000 is capable of separating shadow details to a degree rarely seen on a projector, so the audience pans are crisp, clear, with excellent detail, depth and three-dimensionality. You can actually see what's going on, even better than you could if you were there in person. On the LS10000 the audience pans actually become an engaging and exciting part of the video presentation because they make you feel like you are there. Ultimately, the word that kept popping into my mind as I watched was how natural the image looks. It gives the impression of being a perfectly seamless analog picture--no hint of digital processing anywhere. One might say filmlike, but it is better than film. When viewing live performance material, the LS10000 delivers the video equivalent of the experience audiophiles seek when they go for the vinyl--a clarity and realism that imparts a sense of being in the presence of the performers. Studiotek 130 and Studiotek 100 screens used in this review. How wide is the color gamut in Digital Cinema mode ? Can you post a CIE graphic please ? How are the black levels and shadow details compared to the jvc x700? How is the 3d? Any idea about Ansi contrast? So the LS10000 is 3D capable -- why no comments about the quality of 3D? I watch a lot of 3D, which I view exclusively with a DLP projector because with every other technology 3D is marred by at least some foreground ghosting and some less visible but even more annoying background ghosting. I'd like to see a L/R 3D cross-talk test of the Epson's 3D capabilities to ascertain whether or not can produce acceptable 3D. 3D so far has been the Achilles heel of all non-DLP projectors in my opinion. If the LS10000's 3D was as good as everything else (black level, shadow detail, perceived resolution, etc.) then I'd be very interested in purchasing one. Grant, the unit we reviewed was a pre-production sample that did not come with 3D glasses, so we have not yet exercised the 3D mode. I will update the review with comments on 3D once we've had a chance to see it. Soulnight, I saw the LS10000 next to the JVC X700 but have not set up a side by side test myself, so will reserve specific comments. Qualunquemente, we'll post a CIE graphic as soon as we can. We're at CEDIA the rest of this week, so maybe not till Monday. the epson product info on the website states that the image enhancement involves a 0.5 pixel shift resulting in much more real resolution. So lets find out what that really means. Ok...for we diehard old-schoolers, how does this projector handle standard-def DVDs? Too many old classics in my collection to give them up! Did you perform any 2.35:1 tests? Does it have the ability to stretch the image? From all indications, the LS10000 is going to be an awesome contender it the home theater market. I have been contemplating upgrading to the 5030UB but this opens up another possibility for me. My only concern is the lumens... 1500 (LS10000) vs. 2400 (5030UB). I do have some ambient light to contend with. I know there is more to the viewing experience than brightness and contrast can certainly account for a difference as well. If I were to view the two projectors side by side, would the 5030UB appear to be much brighter or because of the differences in quality and contrast would the LS10000 appear to be as bright? I am currently using the 8700UB so it's time for an upgrade. Any feedback would be appreciated, Evan or anyone. I think that a three-way direct comparison between the LS10000, JVC X700, and Sony VPL-VW600ES as a reference point would be fascinating. While the obvious headline would be comparing simulated 4k processing versus native, I think the overall comparisons would also be quite interesting. Wow, let me see now. Basically, what we have here is a dim 1500 ANSI lumen brightness HTPJ with LCD panels and 1920 x 1080 resolution. I could see $1,000 for its price, maybe $1,500. But EIGHT THOUSAND DOLLARS? For what exactly? "If you want to compare it to standard 1080p, you can simply turn off the 4K enhancement. What you end up with is a picture that looks remarkably soft--almost more like really good standard definition." Okay, so it is an HD projector that throws and HD picture when in the "4K enhancement" mode, and then throws a poorer quality image when in the "HD" mode. Last I heard, you need a 4K panel or 4K chip to throw a 4K resolution image, but hey, what do I know. I've heard that Epson is producing a lower model (9600) that is 1080P only and won't do the 4K, yet it is HDMI 2.0 capable. I thought the 2.0 standard was for 4K display. Anyone know why this so? Also interested in the 3D performance of this machine. Disappointed that the 4K enhancement won't be possible in 3D mode, and a bit deflated over the lag time (making it not optimal for gaming) but also very pleased to see Epson taking some fundamental steps forward in advancing new projection technology with laser and 4K simulation. I think the review is a bit misleading about the native 4K vs simulated... all things being equal (which of course they are not when comparing a Sony to an Epson), true 4K with native 4K panels will look "better" than 4K simulation with pixel-shifting. Yes, pixel shifting will look better than 1080p if done right. And may look excellent on its own. But true 4K would be even better... at least with native 4K material. That's not a criticism of this machine... it's priced reasonably and simluated 4K is better than straight 1080p... so it's a step forward for sure. Let's see some 3D review! If this looks better than 1080p which the review says, then it is an excellent projector. There a lots of good 1080's out there but this seems to be better and I bet in a blind test with the Sony 4K, it would be way closer than people think there is only so much difference you can see to begin with between 1080 and 4K; This is actually a great value especially if the street price comes in at 6-7K the 4K upscaling on the Epson is getting way better reviews than the eshift on JVC, which has poor reviews so right there the Epson has an edge. This projector just seems like a transitional step at best, so I'm not sure why I would spend $7,999 on it. There are press releases from Epson from five years ago in 2009, that they had developed true 4K Native Resolution LCD chips. Where are those??? 4K is everywhere now. Why not just release a true 4K projector, and not the smoke and mirrors this projector uses? I think like many people, I will be sitting on the sidelines waiting for a real 4K projector under $5000, so I don't plunk down $8K on this one, and then they release the real deal next year. To all the Haters, people were happy with 900 Lumens a few years ago - SIM2 used to say brighter than that have one a headache (and the bulbs wouldn't last)! WHAT ABOUT CONVERFGENCE CORRECTION SUCH AS ON THE 5010. That's precisely what I want to know. Please, Evan can you comment on the convergence topic? Is this something that is no longer needed due to the new quartz reflective LCDs? I totally agree with you Brett. I'm still thinking why should I pay $8K for a 1080P-4K wannabe, when one can get a real 4K projector now for much less. Nevertheless, this new projector is an achievement indeed, but Epson should've started playing in the 4K arena already. I will definitely not spend all that money in another 1080P. It's just not worth it. Mel, I would suggest you getting a 6030UB instead. There isn't any big advantage that justifies paying $8K for this. The 6030UB is really good for the money you'd be paying. If at least the laser drive would consume significantly less power than it's predecessors, then that alone might be worth it. 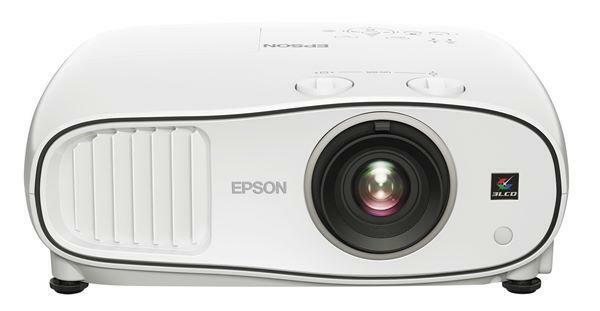 Epson should focus on fixing currently problems they have with their projection technologies such as: ghosting under 3D, LCD convergence, power consumption, and their projector's size.
" 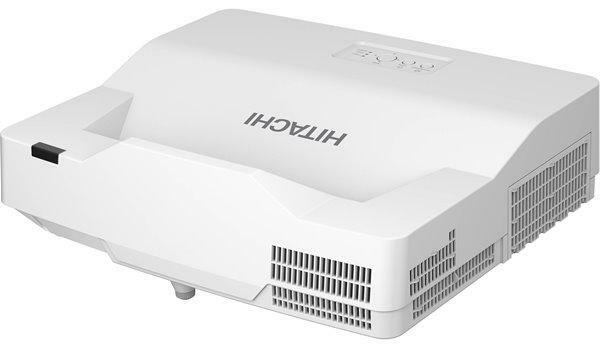 why should I pay $8K for a 1080P-4K wannabe, when one can get a real 4K projector now for much less"
Has everyone read the detailed reviews of this? Evan, Can you talk a little more about the firmware upgrade? I have the 5020UB and and love it but I am wondering if the incremental upgrade to the 5030UB together with the firmware upgrade makes it a solid contender for a new projector? If Epson would modify the 6030UB to incorporate a fixed anamorphic lens they would have a slam dunk game changer. A built in A. lens would improve the contrast and resolution. The squeeze feature would still look good for non cinema-scope material. The install would look much cleaner and the over value would be a significant step forward. So now I am wondering with the LS10000 coming into the market place, will the price of the 6030UB drop? Wow, this is rich indeed. a "4K projector" -- that has a 1920 x 1080 resolution panel. Wow, what they gonna be thinking up next, eh? An 8K PJ with an 800 x 600 panel? It sounds like there may be some misinterpretation going on here. I work in post-production scanning original camera negative at 4k and 2k for the movies we are watching in theaters these days. The Arri film scanners ALSO shift the sensor to capture 4k and even 6k. It isn't "faking" it if it is getting real data from the negative, regardless of not having a 4k "native" sensor. It seems like the reverse of this would also project a real 4k image. If each scanned pixel is getting projected then it's real 4k. Either that or I misinterpreted what the Epson is doing. You can project a 4k (3840*2160) image with a 1080p projector. Divide each second into n slices where n is an even integer multiple of the framerate. When n=1 the projector show odd # pixels of each row, and odd rows. When n=2 the project shows even #pixels even rows, with the image shifted HALF of a pixel down and HALF of a pixel to the right. Rinse and repeat for n=3,4 etc. This is also known as pixel scaling. "Epson should focus on fixing currently problems they have with their projection technologies such as: ghosting under 3D, LCD convergence, power consumption, and their projector's size." Additionnally and more importantly hopefully they have fixed or will fix the problem with the polarized Lens that comes out of position after 3yrs or less and make Pink Band appear at the bottome of the screen. It takes 3 hours to repair. Since Epson LS10000 is 1500 lumen compared to Epson 6030UB being 2400 lumen - Will Epson 6030UB be more suitable for a larger screen ? I plan to use a Stewart Studiotek 130 G3 which is a 1.3 Gain screen. Would appreciate if anyone could guide which projector would be more ideal for bigger screen. Would also appreciate any suggestions on which alternate 3D HD capable projectors I should think of to achieve projecting a good HD picture on a 200" 2.35:1 screen with budget of around US$ 11,000 for projector. Thanks ! Okay, so this one is supposed to be shipping already -- it's just nobody out there has got it. It has a "3LCD Reflective Panel." They call it "R-HTPS Liquid Crystal on Quartz," I guess the "R" stands for reflective. I thought LCD was transmissive technology, but I guess now they've got them in TI DMD-like reflective configurations as well. That's always good. It has some sort of a 4K upscaler inside, too, for pseudo-4K. Laser light engine, of course. In fact, it is true "pure" laser with laser light engine "A" generating Red and Green, the laser light source "B" generating Blue. So, no spinning phosphor wheel here any more, folks. That is really, truly something. Must be the world's quietest PJ as well -- 19dB. Built-in scaler to convert 2D material into 3D as well and HD into pseudo-UHD. All in all, looking great with the reflective quartz 3-panel design and 4K upscaling. Too bad, therefore, that with this LCD reflective technology and all that jazz, this particular Epson can only muster a paltry 1500 ANSI lumen of brightness. hat were they thinking? The fixed zoom lens is dark -- it can only operate in the F2.5-3,7 iris range, so that explains to a great extent why the image it throws is so weak, i.e. dark. I guess if you are in a totally pitch-lack room with a 1.8 gain screen front of you, and your screen size does not exceed say 1.5 meter wide, you should be still okay with this pone at 1500 lumen max, right? But at half-life, you will be down to 750 ANSI, and after adjustments, this baby here must be one of the dimmest HTPJs out there of them all. Sony costs the same money as the Epson here, has true reflective 4K panel and not 1920 x 1080 with an internal upscaler, and delivers the same lumen output as this Epson does. Triple advantage goes to Sony, therefore. Those guys are still very hard to beat. It's difficult to objective compare resolution of 4k vs pixel shift 1080p devices using video content because there are a lot of factors that affect how a video looks. You'd be better off displaying a 4k computer screen with a lot of nice sharp straight and angled 1 pixel wide lines... then getting right up close and personal with the screen to see what can be seen. That likely will show a pretty clear difference... but if your objective is 'good looking 4k home theater' then just view the two from your typical viewing distance and ambient illumination and pick which looks better. My reason for buying projectors was the price and size vs buying a flat panel TV. Things have changed as TV's are now much cheaper than a comparable projector. I can't fathom paying 8K for a projector when I can get a 80-90 inch TV for about half that price. The price difference is staggering when you consider 60-70 inch TV's. And the picture will be superior. If these manufacturers want to seriously compete in the 4K and home theater world, they are going to have to be comparably priced with that of TV's. I've been using projectors for years and this is the first time I've considered a TV (brought my last projector in '12). Back then, I couldn't get a 60+ in TV for less than a good projector (less than $1500). Today there are great TV's out there for less then a lot of the least expensive projectors. When I brought my current projector I visited two large retailers, both had special rooms set up to view the projectors, today neither store does and the amount of projectors in stock has dwindled to just a few from at least a dozen. David, flat panels have gotten cheaper and better, no doubt about that. Two points. Most people who buy home theater projectors are looking for image sizes 100" and up. In this size range projectors are the only realistic option. But beyond that, size is not the only issue. The reflected light from a projector+screen combo has a far different aesthetic than the light from a TV which can look harsh and unreal. There is a real difference in the experience of "watching TV" vs. seeing a film in a theater. Many videophiles will continue to prefer projection as the image quality more closely replicates the authentic large screen movie theater experience. On the other hand, TVs are best suited to ambient light. Each has their reasons for existence. Does anyone know where the LS10000 can be purchased? This information presented here is extremely helpful in making the purchase decision, but Epson's website is useless in finding a stocking dealer. And, there is no internet presence for this product or its sister unit without 4K upscaling. Any ideas on how or where to purchase these units is greatly appreciated. Just to be correct, you have now purchased the LS 10000 and that PJ has replaced a 6030UB. You are saying the LS 10000 is much better "in all aspects"... color, brightness, sharpness, 3D. So you would recommend the LS 10000 over the 6030UB and it is as bright or brighter. Can you see the difference with the 4K enhancement? I purchased the LS10000 after considering several other options (and reading the review here - thank you for that). I replaced a four and a half year old ProCinema 9700 from Epson. Here are the biggest differences I can tell you. Much like Ferris's comment, the lumen rating is a bit misleading. The biggest changes I see with the LS10000 are that in Cinema and THX mode even under the ECO setting, the output is noticeably brighter in the same room and on the same screen; the colors are more vibrant and expansive (hopefully not just my sub-conscious thinking I see this); and amazingly better contrast. I have had the LS10000 for a month and for the first two weeks I went back and forth with the PC9700 - there is no comparison to the picture quality between them on broadcast television, XBox gaming, and Blu-ray content. I couldn't be happier with my decision to pick up the LS10000. A side benefit is that I simply cannot hear it running when it is in ECO mode. It is well below any perceivable dB rating for my ears, and those of friends that I have had over since I installed it. Can you turn on high altitude mode along with bright and run it for about 2 minutes and see what kind of noise factor you have? I live in CO, and this is one of my biggest pet peeves with the projectors I have owned. My current Projector is mounted behind the wall at 17 feet from the screen. I would like to pick up the LS1000 and mount it directly overhead but the fan noise on high altitude mode would be a factor for me. Thank you in advance. For the people who are interested in the epson ls10000 and don't know if they want to buy the epson or a native 4k projector here is mho about the epson.i compared the epson side by side with the sony native 4k VPL-VW350ES which is about the same price and this is my opinion.Although the epson is not native 4k,me,my wife and 4 other customers saw all the same thing,the picture quality from the epson is just amazing!!. I really expected that the sony had the better picture quality because it has the native 4k panel,but i was shocked to see that the epson was sharper,had a much better contrast and deeper blacks with 1080P content and 4K content.The Sony also has a very good picture quality but it looked a little bit washed out in comparison with the epson, and i have read a lot of reviews where they say the sony has a more detailed picture! !.Of course i wanted to know, how the 3D was on the epson. Because it only has 1500 lumens i was a little bit concerned that there was not enough light for a good and solid 3D picture,but this was not the case at all.If you are into 3D don't worry the epson has a very good 3D image thanks to the Bright 3D drive which doubles the image repeat frequency from 240 to 480Hz. This means that you see a much brighter image through your 3D glasses.I hope this will help a little bit for some of you guys in your decision to buy the Epson or a native 4k Sony.I made my decision and go for the Epson because of the picture quality,high contrast,better black levels,and i don't have to buy new light bulbs anymore.The only thing i don't know is, if a screen innovations black diamond 1.4 screen is the right choice for this projector because of the 1500 lumens,maybe someone can tell me if this screen is to dark for a good picture with the epson. Really want this projector, though it doesn't seem that it's available in many places online. I play on buying one later this year. Anyone know where they're regularly available? It's not as simple as that. Many people who saw this compared to native 4K say that the Epson actually beat many native 4K units. Epson does a great job making very good quality projectors. Why not just get a Lumgen scaler and be done. Confusing reading the conflicting reviews. I've got a room approx. 6 metres by 6 metres and was thinking of a 160" screen but feel the 10,000 won't be bright enough unless the room is pitch black which it won't be at all times.3D and noise are also important. Do you go cheap now with the 5030 and upgrade in a few years when the 4K projectors are cheaper and brighter or do you spring for a 4K Sony or 10,000 now? I hear that JVC is coming out with a (few) brighter real 4K in a few months. Great picture but low brightness currently. Hi - we've had an LS10000 for about 6 months now and continue to be stunned by it's contrast, it's silence, it's instant on/off, it's image quality, it's lack of pixelation, the quality lift for Blue Ray and even DVDs. And did I mention contrast? For the first time a light-bulb in the picture hurts your eyes just like looking towards a real one. In comparison to a TV - we can roll up the projector screen - you can't easily hide a 90"TV!! Our only technical issue now is the blanking period when the signal changes, but that's as much to do with the chain of devices (AV amp, wireless transmitter) as it is the projector. Will solve with a new amp and solid copper connection. Have one of these in my cinema for 9 months now. I am still amazed by the deep deep blacks it achieves. Every time I put on a B&W film I am still impressed. Also it is as quiet as if there was nothing working on the room. You don't even need the 4k enhancement feature, to be completely honest. The factory modes are all you need. Just played Bella Tarr's Turin Horse last night and everybody were astonished. I really recommend this. I had a Sony 4K here for a few days to test and was not impressed.